Dream. Dress. Play. : Make It Monday! Create The Perfect Cake For Your Dolls! Make It Monday! 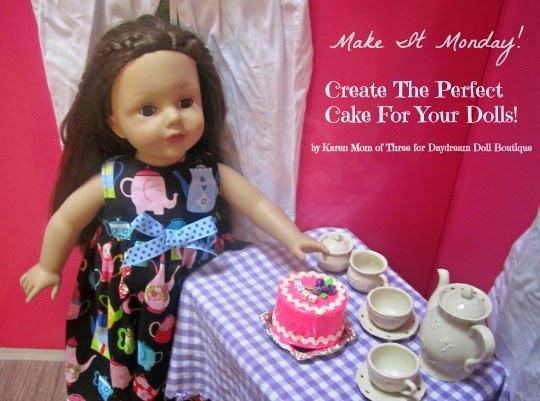 Create The Perfect Cake For Your Dolls! Today's Make it Monday Post is inspired by the little cat food tins that I have had in my recycle bin as one of our cats needed surgery and we had to hide her medicine in the wet cat food. 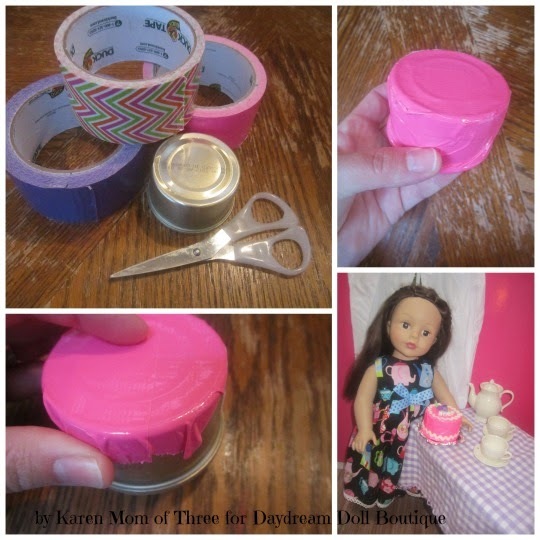 She is on the mend and I found that the little tins were the perfect size for a Dolly Cake! Step 1- Assemble all of your supplies. Cover the bottom of the can, which will now be the top of your cake, with duck tape. Cover the sides as well. Step 2- Plug in and heat up your glue gun. 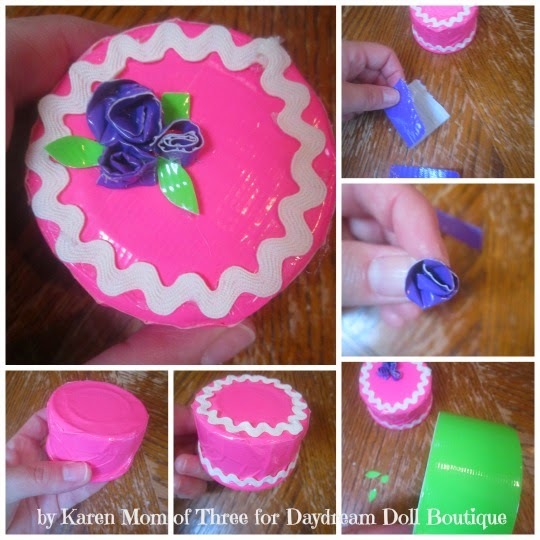 Un roll your rick rack and glue into place along the top and bottom edge of your your "cake"
Step 3- Create roses for your cake with an additional color of tape. Fold tape over on to it's self and cut strips of tape that you roll and glue as you go. Make a few different sizes and glue into place on your cake. Step 4- Use some green tape to cut out leaves and glue them into place as shown in the photo above. 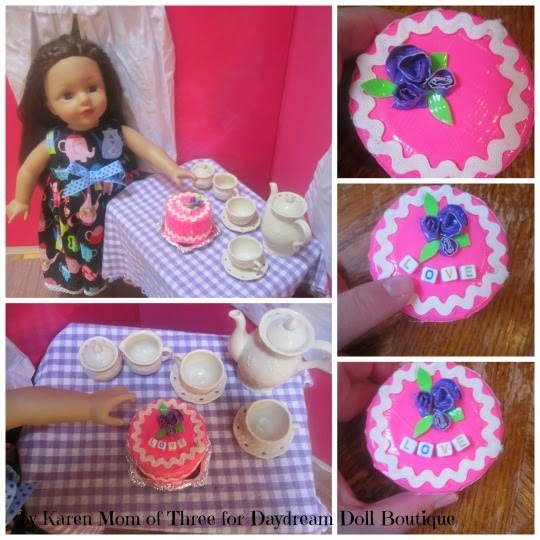 Step 5- Glue letter beads to spell Love or your dolls name into place and your dolly cake is ready to serve!